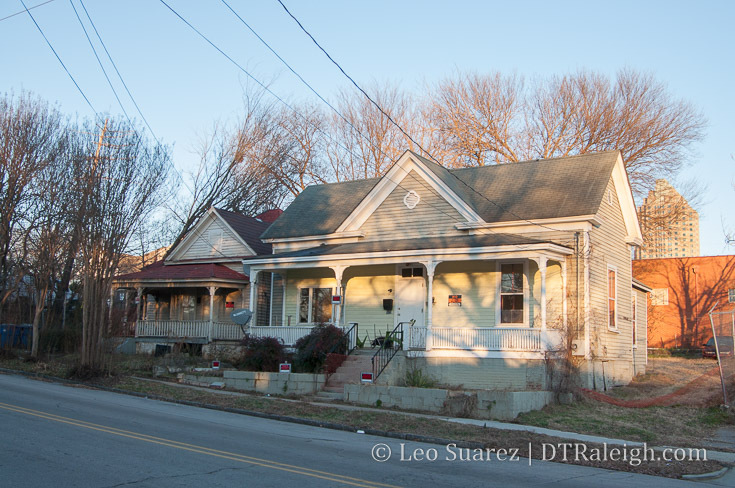 During the November 21, 2017, council meeting, a proposal to sell two city-owned lots on Bloodworth Street was pitched as a way to save two homes that are planned to be demolished. The folks behind The Fairweather will have to remove the two homes shown in the photo above that are located on West Street. 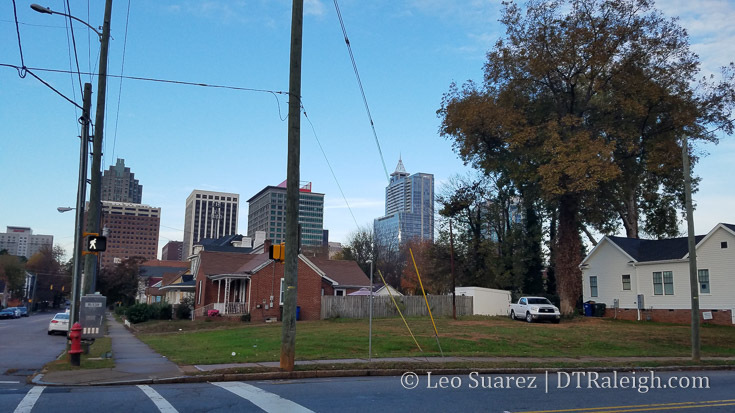 With the Raleigh Historic Development Commission’s help, the houses would be located on these lots with certain restrictive covenants on them and a piece of Raleigh history could be saved. 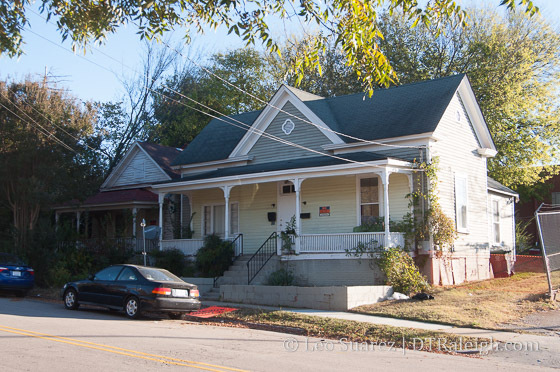 The houses fit well in the Prince Hall Historic District as they date to the historic Fourth Ward, a predominantly African-American neighborhood in the early 1900s. The move seems to make sense from a preservation aspect. 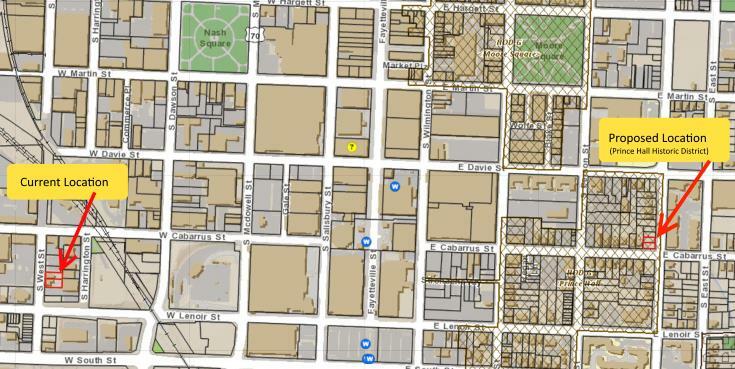 Below is a map of the current location and the proposed new location, lots the city currently owns. To sweeten the pitch, Matt Tomasulo, the brains behind the project, talked to the council about the preservation of the homes and how he wants to use the houses for a cohousing project, a concept that would provide affordable living for service workers in downtown. For me, this council video is a must watch for readers. At 20 minutes (you could probably just jump to the 2-minute mark and start from there) it’s an easy watch or listen. If you can’t see the video, watch it here on YouTube. The idea has a lot of merit in my opinion but when you watch the video, you get a sense that creative problem-solving isn’t welcome to some of our councilors. I don’t want this post to be about politics but this one just doesn’t sit well. I’m not sure who might lose in this scenario and am curious as to what kind of council we will have for the next two years. Councilor Crowder and Thompson had concerns that approving a sale of city-owned property to a current sitting planning commissioner (Tomasulo) “doesn’t pass the sniff test” or wouldn’t be seen positively from the public’s perspective. There were also concerns that the properties should be open to public bid rather than a direct sale. 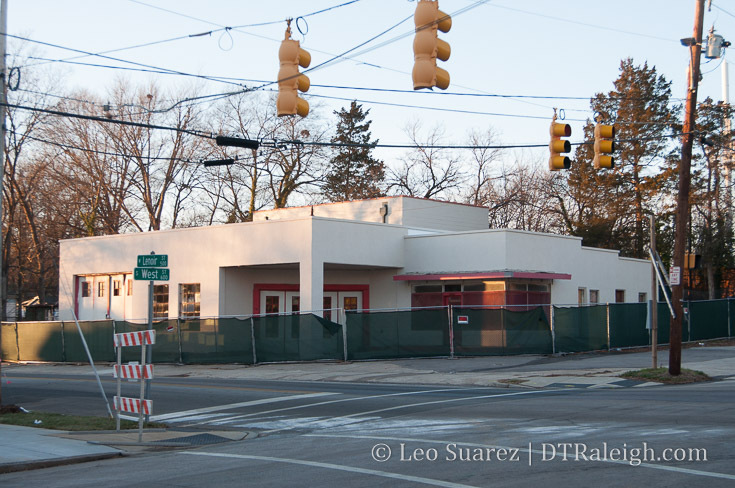 However, it was made clear that no public bid was needed when it was used for historic preservation. This process has been used in the past as a way to save historic structures when the alternative is demolition. It was also made clear that planning commission members are volunteers and get no compensation for their work. Corner of Bloodworth and Cabarrus Streets where the houses would go. I always try to consider the alternative but this is an example of creative problem-solving that institutional forces sometimes can’t appreciate. The only counter I can think of is if other needs are a higher priority than historic preservation. The councilors against didn’t voice any other concerns though with the land’s end use. They used emotional “feelings” to deny something. It should be seen as a bonus that they were able to ask questions about the end use, meet the eventual owner, etc. Tomasulo is just as much a Raleighite as you and I and the vote was carried out with an obvious bias. The houses are set to be demolished in a few months. It is possible for the party behind this effort to come back in January to try again. I’d like to keep an eye on this one and see if RalCon readers can let their councilors know how they feel about an effort like this. 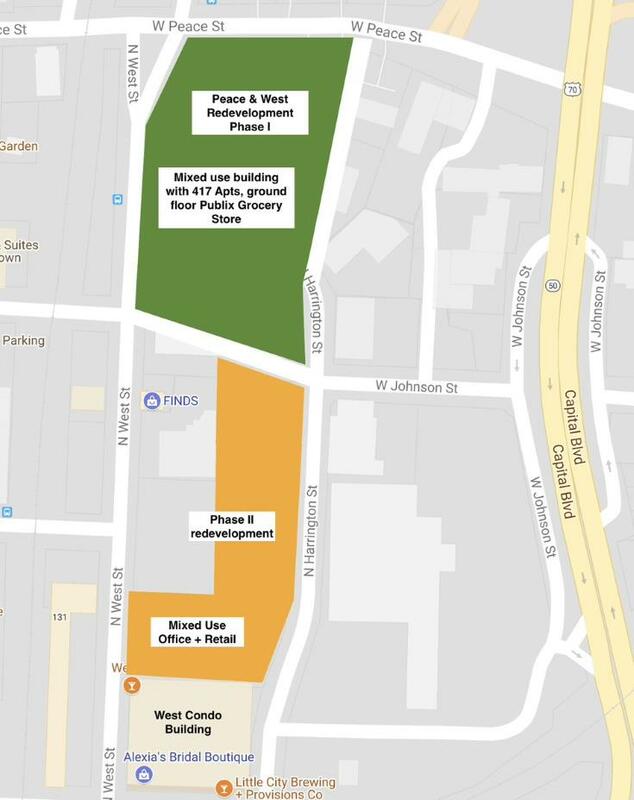 The city has been moving forward with plans on how best to utilize the land they own in downtown Raleigh. Sell? Develop? To whom and for what? The idea is to utilize the land that has now increased in value over the last few decades and put it towards supporting some policy goals in the city’s comprehensive plan, downtown plan, and other plans for example. The latest output of this study is the July 14, 2017 Downtown Land Disposition Strategy report which is the meat of today’s blog post. Dive into the whole thing on the city’s website here. 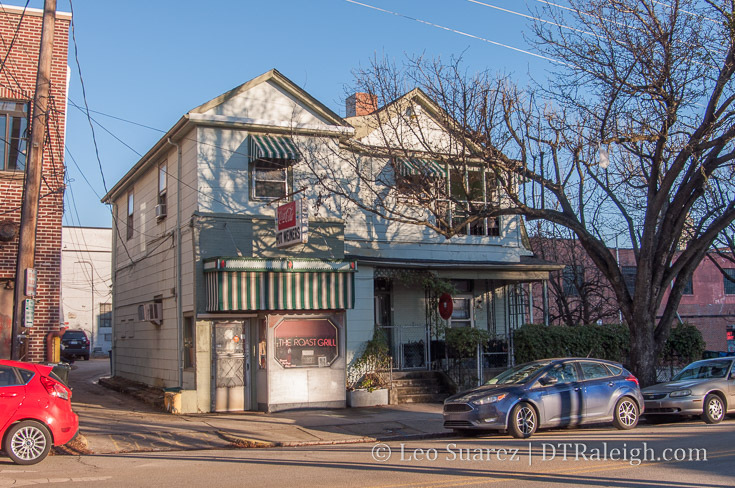 The July 2017 report was prepared by HR&A Advisors and they are attempting to help the city figure out how to let go or repurpose eleven properties in and around downtown. The report offers possible reuse options, suggestions on how best to sell them, and projects of revenue generated. 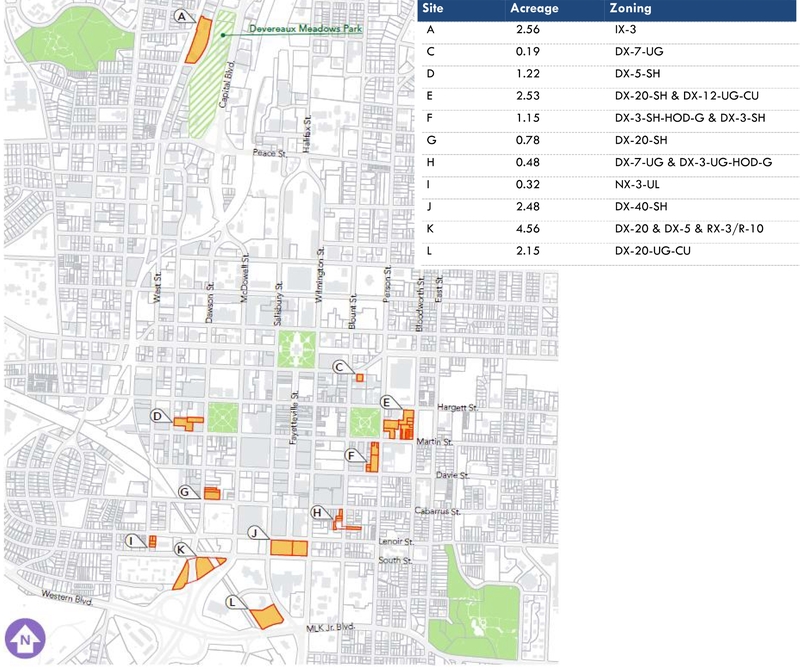 The properties, some currently with active buildings and others as surface parking, are mapped below. With the general goals defined, the next step is to prioritize and gauge the public on these. Through community meetings, attendees were asked to rank the importance of each one against the other. This chart sums up those findings. If you’ve been paying attention even for a little while, it would be easy to guess the top priority. Housing has been an increasing concern for the city as a whole and downtown’s revitalization is shaking up the former housing dynamic. 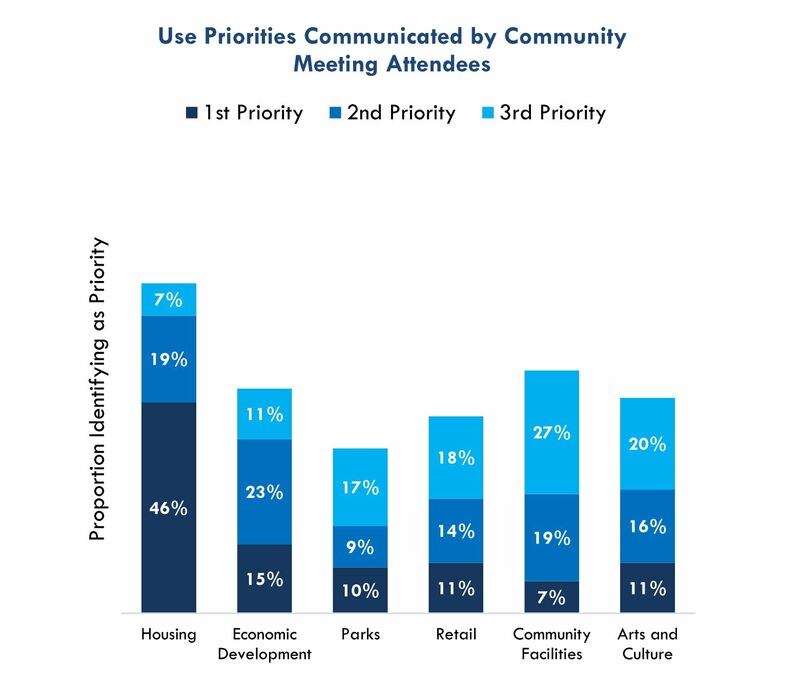 It’s listed as a clear top priority from the community feedback sessions with economic development being a second priority and community facilities being third. So much for downtown retail and park space, right? 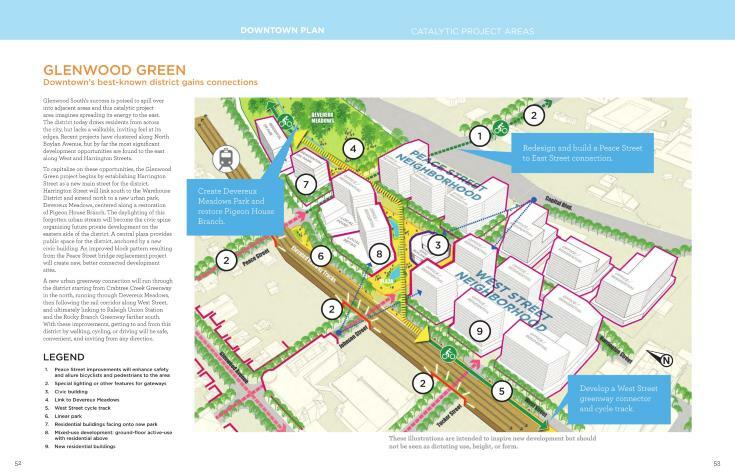 The report then goes into suggestions and projections for each of the eleven sites in downtown. To make it easier to digest, I’ve taken a snapshot of the report and embedded it into a google map for each parcel which you can see below. I actually recommend you click through to the Google map itself to see the properties and their pop-ups which include the graphic with additional details. Clicking on the graphic there makes it bigger and easier to read. See it here. 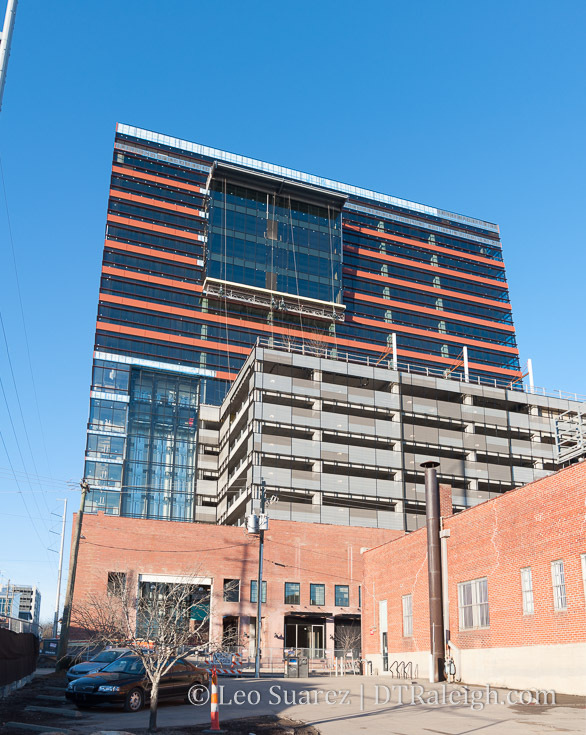 For the parking lots at the end of Fayetteville Street, major economic development with towers for office and hospitality. 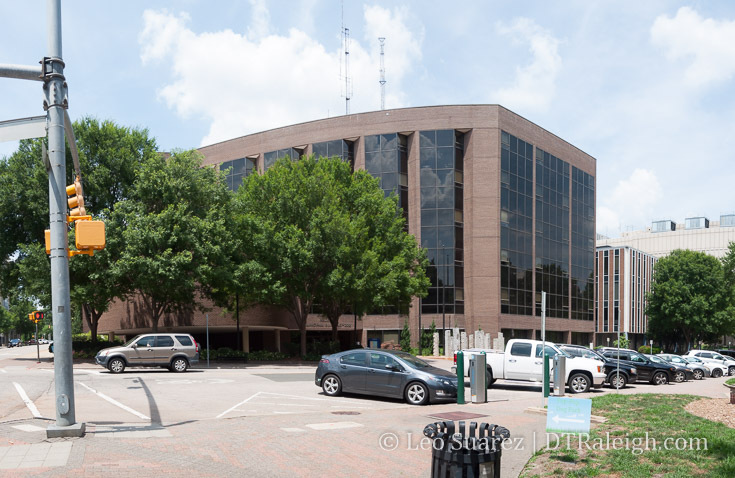 The sites east of Moore Square should have housing along Bloodworth with mixed-use office and hospitality facing the square. The City Market parking lot along Person Street could either stay the same or the parking lot be developed into housing. The fire station facing Nash Square and adjacent properties would be repurposed into more offices or rezoned for higher density offices. 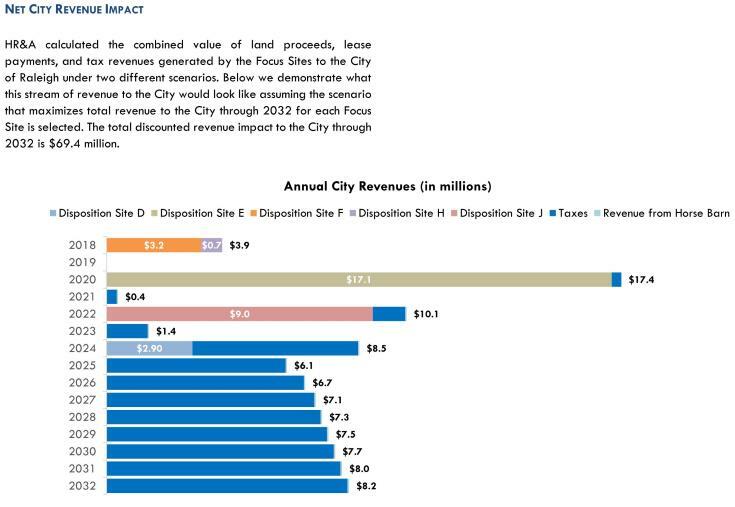 Finally, for those wondering what kind of revenue we’re talking about, the final page of the report gets into it. See it below. It’s a big project for sure. 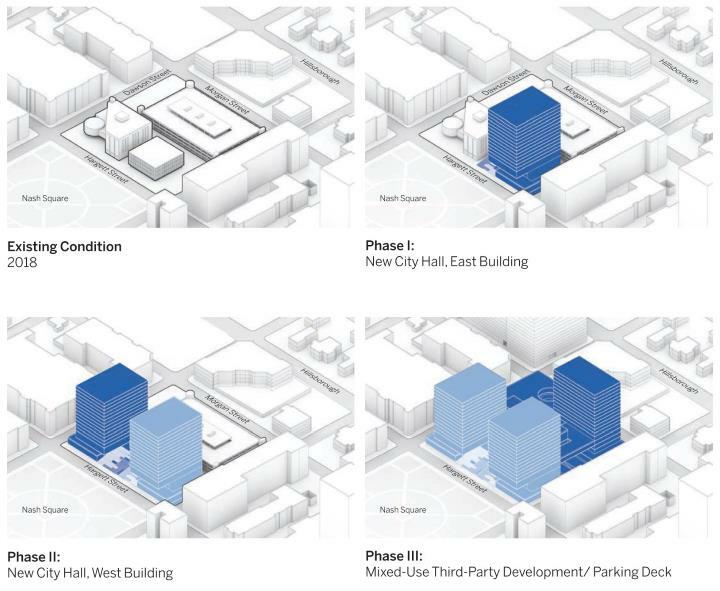 There’s a push for consolidating city offices with a new campus on the current City Hall block. The offloading of these properties could help pay for that, some being very underutilized. It’ll be interesting to see the next step although I feel this will be a long and carefully thought out process. I’m always struggling to find a way to wrap up another year of downtown Raleighing that simply describes what took place. There’s just too much going on to do that. There are things in planning, under construction, and being completed all the time. Shops and restaurants close and new ones open up. 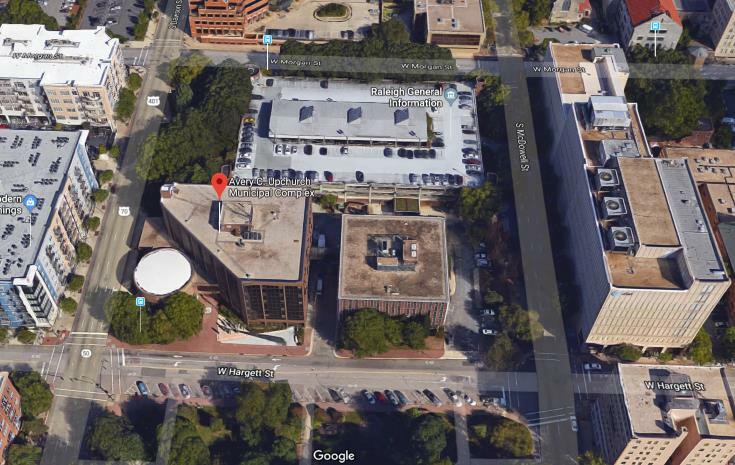 These projects are nice to follow and from my point-of-view, new apartment buildings for downtown Raleigh becoming the norm means we’ve hit a new level. 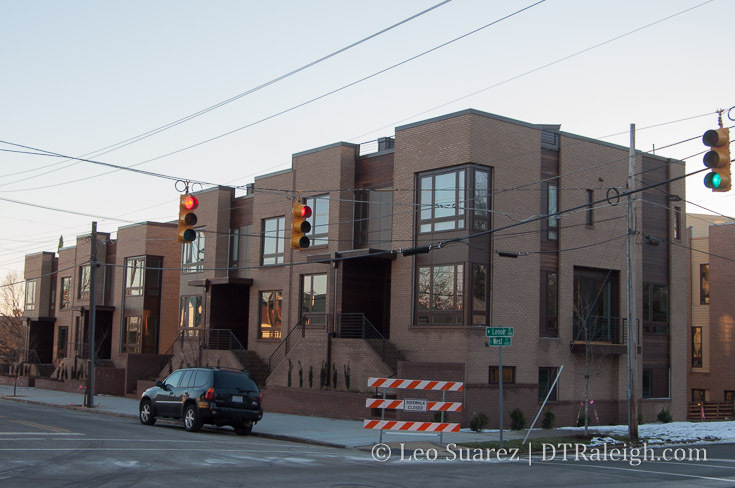 “Another apartment building with 200+ units? Not again.” said everyday in Raleigh 2016. The way I see it, the novelty of new downtown apartments is wearing off and in a way, that means the momentum is still high. Consider apartment buildings as just the details but the real projects that were worth following in 2016 involved transit. 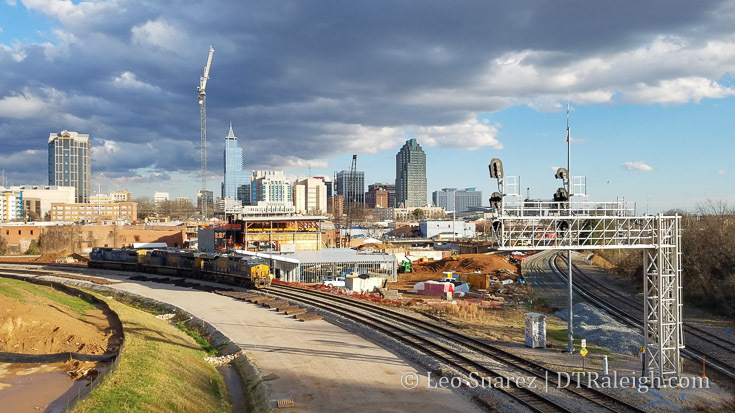 Raleigh Union Station and the GoRaleigh Transit Station (formerly the Moore Square Station in case you haven’t heard) were being worked on in 2016. More bike lanes popped up all around the city with a bike share plan in the works. Finally, the county voted to raise the sales tax in order to pay for expanded transit options for Raleigh and surrounding municipalities. 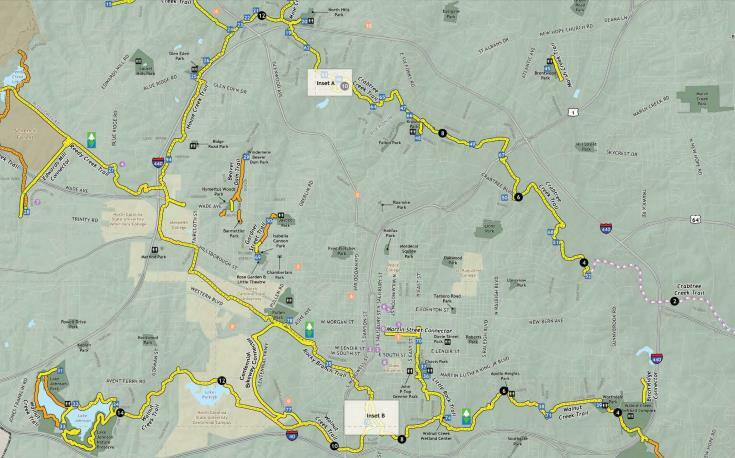 The first benefits of this should probably be seen in about two years and downtown Raleigh will be at the core of that expanded system. 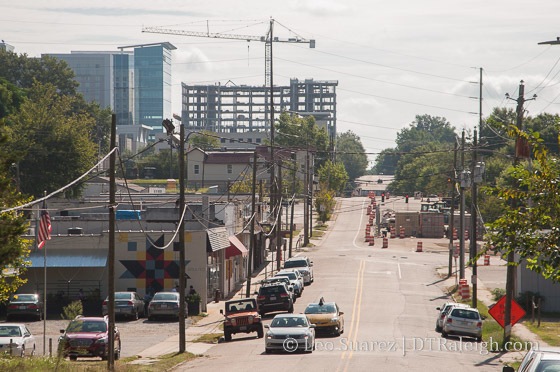 Transit compliments downtown Raleigh in a huge way and if implemented well, we may just have even more apartment building projects, to follow in years to come. As I just mentioned, transit was a huge topic in 2016. 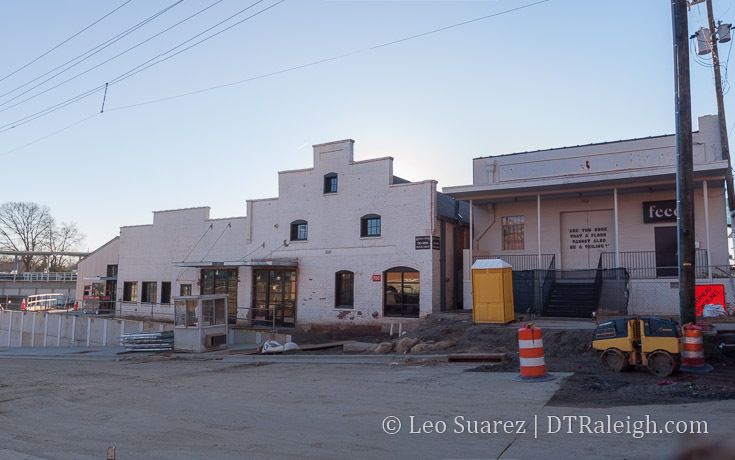 We followed the progress of Raleigh Union Station in 2016, will watch it take shape in 2017 to its opening in 2018. 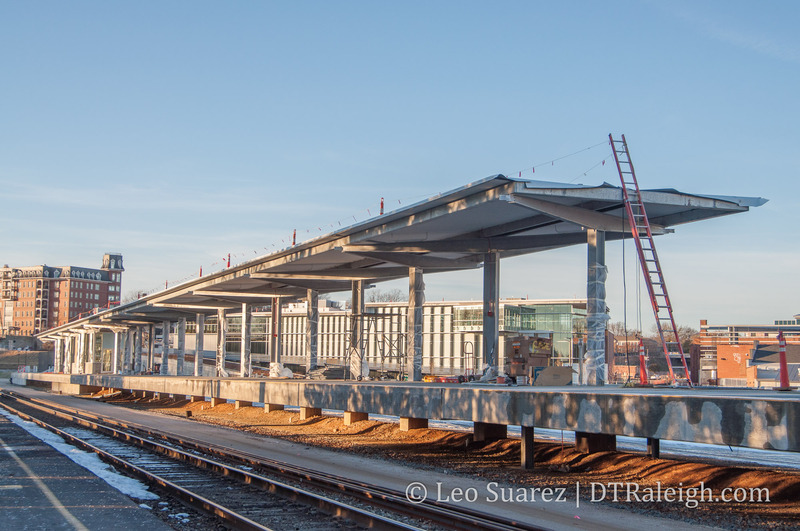 If that’s too long to wait, the GoRaleigh Transit Station will be completed in 2017. 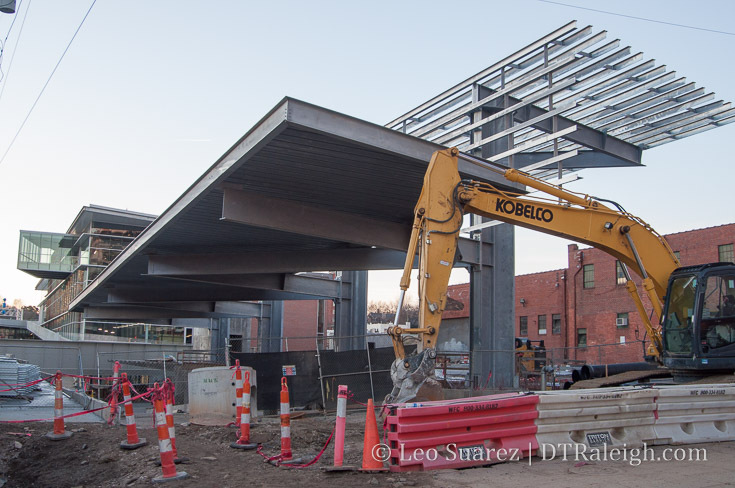 Additional amenities and an updated design await for the 30-year-old bus station now being worked. 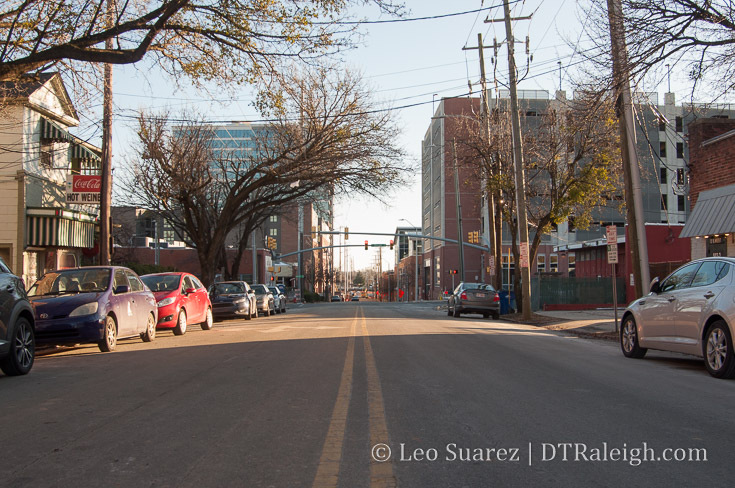 More transportation than transit, the two-way conversion of South Street and Lenoir is seeing some big impacts. The West South Street area is seeing huge changes and in 2017, we’ll follow a slew of new residential and renovation projects in that area. For more on that, you can revisit a post from my Walk series on South Street. 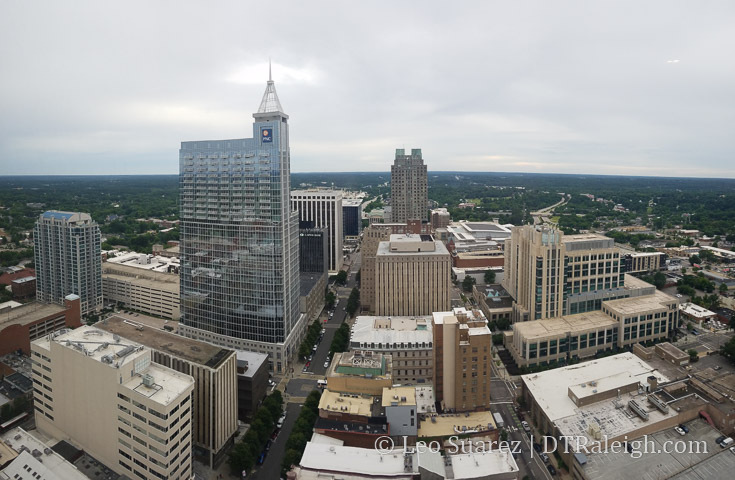 In 2016, cranes were spotted in downtown Raleigh. 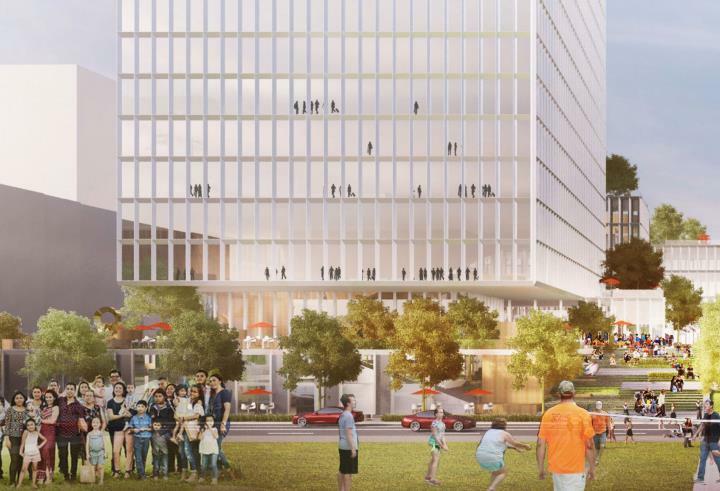 There’s a lot of action taking place at The Dillon, an upcoming 17-story office tower for the warehouse district. The Residence Inn hotel was under construction for practically the entire year, with foundation work taking place about a year ago today. 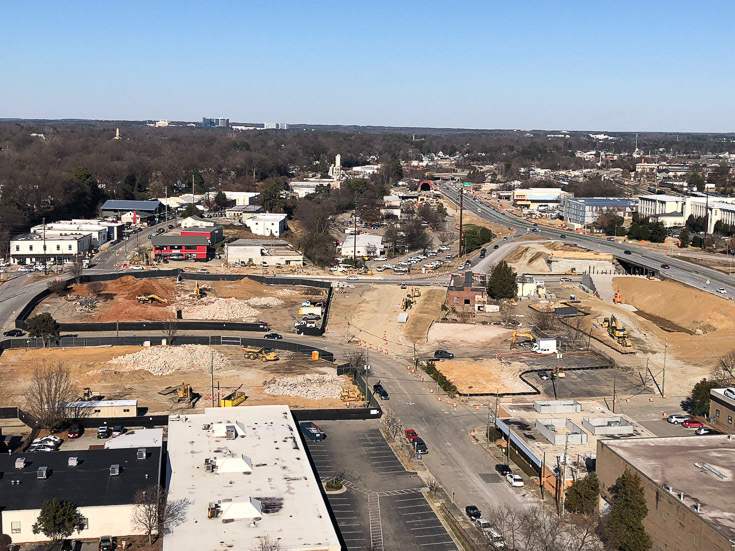 We’re also watching the latest apartment building rise up, The Metropolitan, at the former site of the Greyhound Bus Station on Jones Street. At the pace that these things go up, my guess is that it opens in 2017. Back to transportation, 2017 will see huge impacts from the Capital Boulevard bridge replacement project. The flyover bridge at Wade Avenue and Capital is being worked on now but we should see the work for the Peace Street bridge and upcoming square loop redesign start in 2017. I cannot recommend the following video enough to get you familiar with this project. See Capital Boulevard Bridge Replacements on YouTube. In 2017, here’s what downtown Raleigh has in the pipeline. 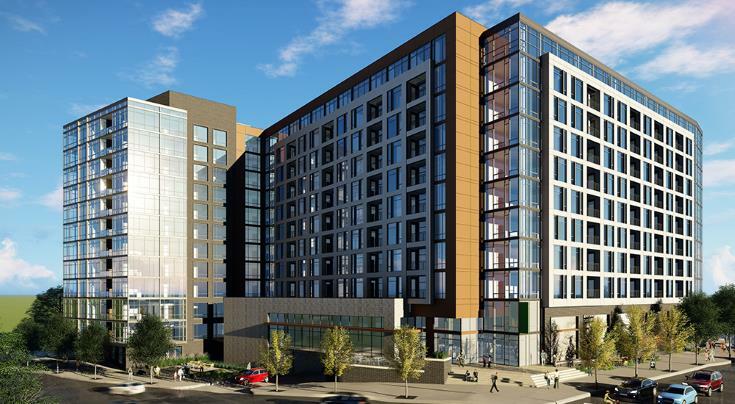 Still in the planning stages, the Smokey Hollow project plans for a 400-unit apartment tower at the corner of Peace and West Street. The biggest rumor in downtown is that a Publix grocery store is planned for this location but it has not been confirmed publicly as of yet. The city is working on a plan for a new municipal campus for their block to the north of Nash Square. Today, city departments are spread out across multiple locations and this new campus is an effort to bring departments closer together. The city is currently looking for a consultant on the plan. We’ve touched on the plans for Gateway Southeast, or the Exploris School, at Gateway Center already and in 2017, it’s possibly we’ll see dirt moving in this area. 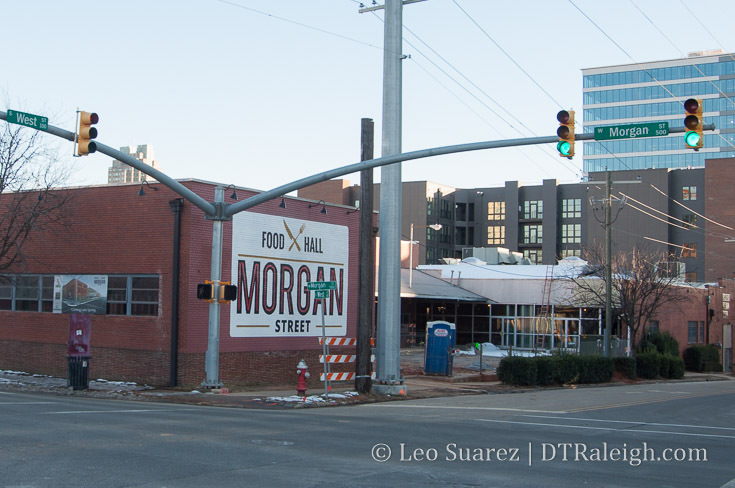 After a huge announcement of the sale of the N&O block, perhaps plans for new development here will surface in 2017. One of the first things that have to happen is a new home for the newspaper so some kind of office component should be released soon. 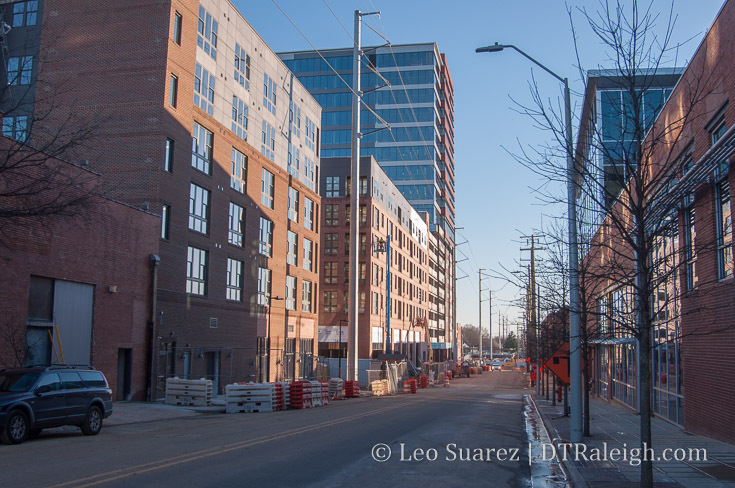 One Glenwood is still being planned but could start in 2017. 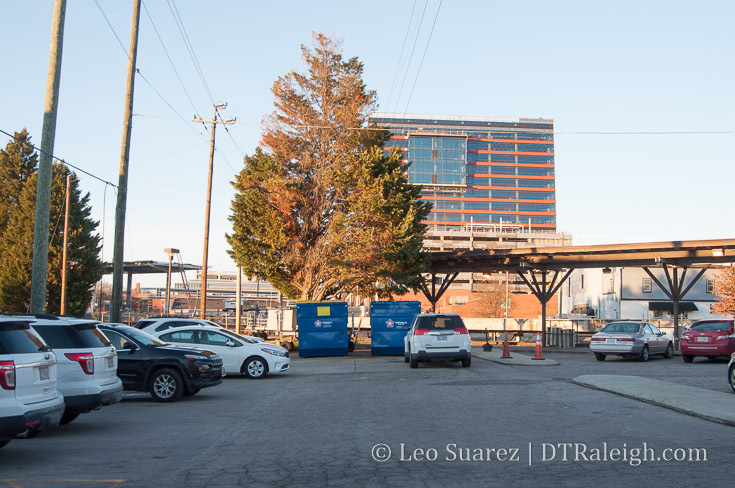 We spotted plans for 301 Hillsborough Street, the highly mixed-use project for Hillsborough Street, recently and 2017 may be the year that the surface parking lots are torn up for cranes. *Broken record* South Street will transform! Stone’s Warehouse may start their renovations in 2017 as well. 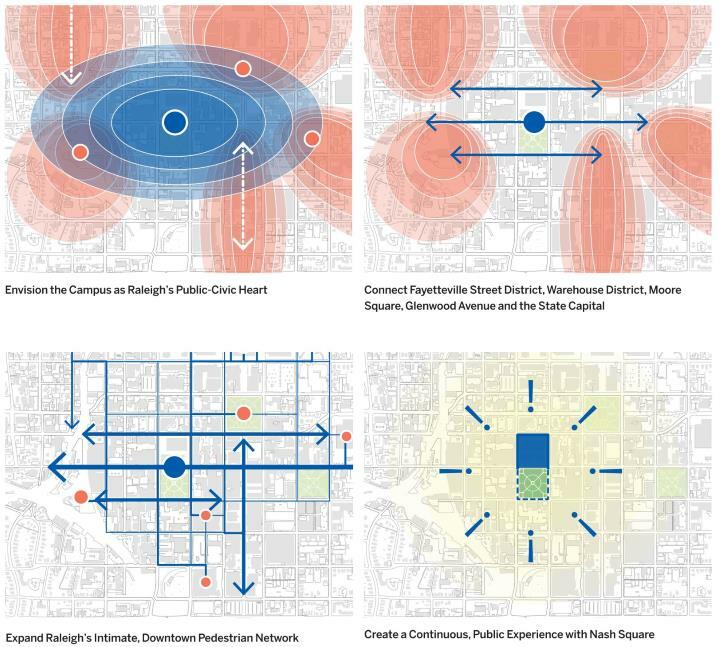 After the GoRaleigh Transit Station completes its work, the redesign of Moore Square may just (finally) begin in 2017. Could we also see the start of the long-awaited Charter Square North tower in 2017? Finally, for this blog, I’ll be writing, photoing, coding right into its tenth year.